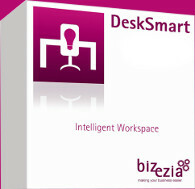 DeskSmart is an award-winning business intranet product for accountants, lawyers, businesses, and other professionals. DeskSmart includes a huge range of features that simplify your business processes, increase productivity and streamline your operations. DeskSmart can be used as a client-facing ‘extranet’, so you can add value to your offering by allowing selected clients or customers to access certain areas via a secure login (you have complete control over who accesses what). It’s a great way for your firm to interact with suppliers, vendors, partners, customers, or other businesses. An extranet (for external users) can be viewed as part of a firm’s intranet (for employees etc). You can securely access your DeskSmart intranet from anywhere in the world, 24/7. also be used as a website. Enable selected clients or customers to access certain areas via a secure login. DeskSmart securely allows client/customer access to permitted areas of your firm’s information or operations. Information can be easily modified, updated and changed immediately. Improves company efficiency and output by automating manual procedures, which will decrease the potential for mistakes. Your DeskSmart intranet can be up-and-running in minutes. Because DeskSmart is easy to configure, once you have subscribed you can make changes to the structure and links that meet your requirements. It really is very easy to use. With our unique monthly pay-as-you-go system, you only pay for the number of members you want to access your intranet. We’re very sure that you’ll gain real value from DeskSmart. That’s why we have the confidence to guarantee it. We’re so sure you will be satisfied with DeskSmart that we’re offering an Unlimited Satisfaction Guarantee. If at any time you do not feel that DeskSmart is benefiting your firm, you can cancel your subscription with only 1 month’s notice, with no questions asked and at no additional cost to you. Our guarantee is unlimited – it runs for the life of your intranet. With DeskSmart, your satisfaction is guaranteed, forever. How many other intranet products give you a guarantee like that? There is no set-up fee for DeskSmart, just an easy and affordable monthly subscription depending on the number of members you want to access your intranet. Fixed charge of £35+VAT per month plus £25+VAT per month for each band of 5 members. Use our DeskSmart pricing calculator to see how much your monthly cost will be.